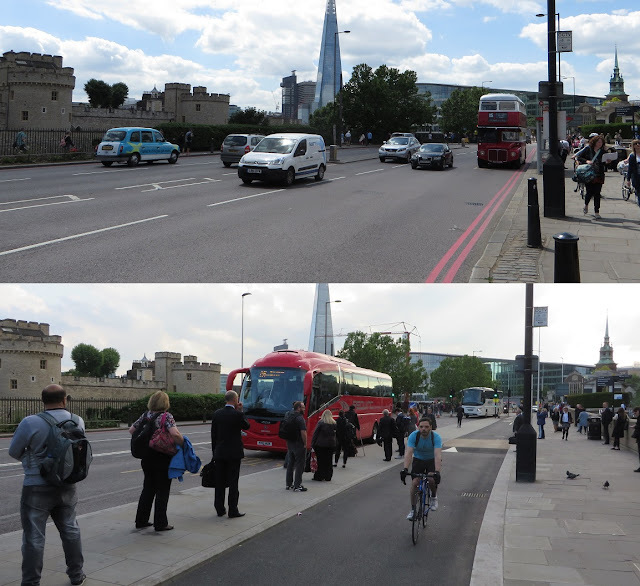 Almost exactly a year ago I took a walk from Tower Hill to the Houses of Parliament. 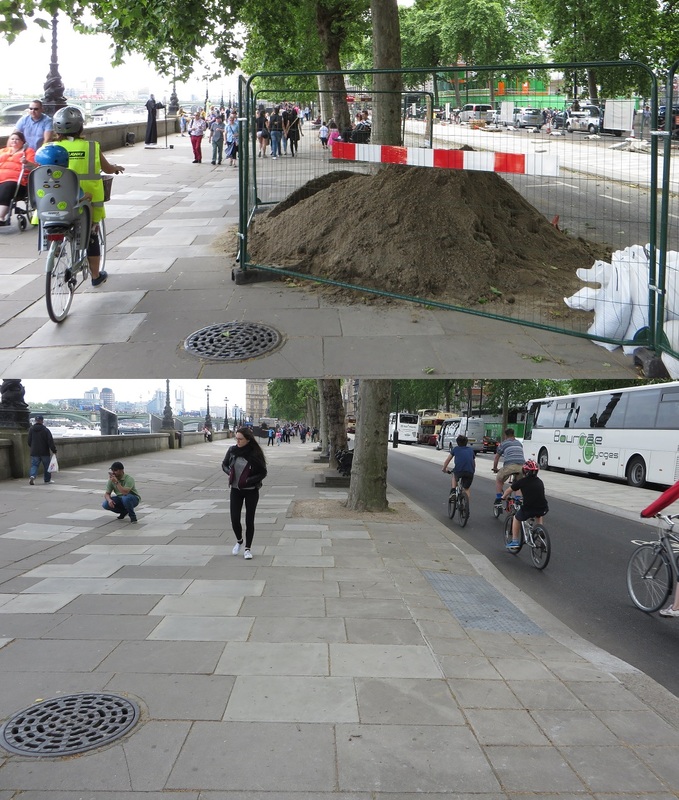 Transport for London had just started construction on the new Cycle Superhighway along here and there were three construction sites; on Lower Thames Street, outside Somerset House and alongside Westminster Pier. I came to have a look at how progress was coming along and to get an idea of how wide they were going to be. 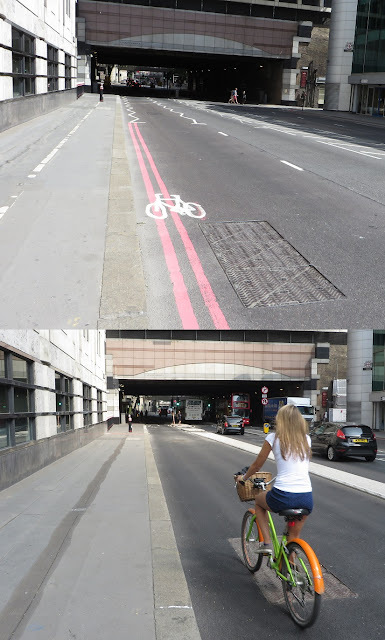 I also took the opportunity to photograph the rest of the road where work was not taking place to document what the road conditions were like at the time. 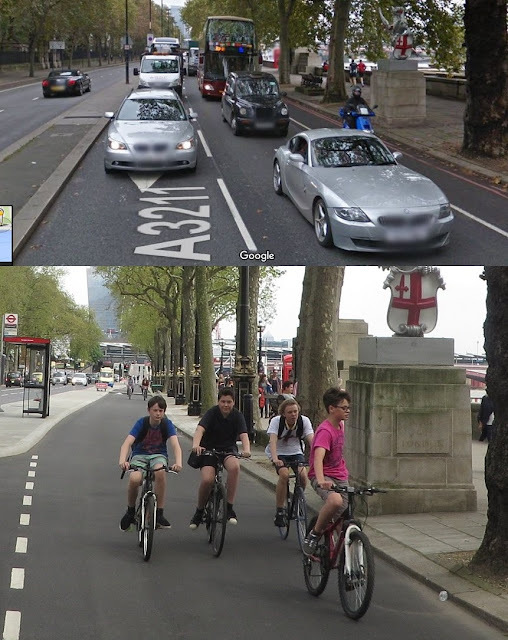 It amuses me when anyone makes the arguments that 20mph speed limits on main roads will increase cycling levels in any significant way. Would this road have a higher cycling rate had these 30 signs been replaced by 20 signs instead of the cycle track being built? 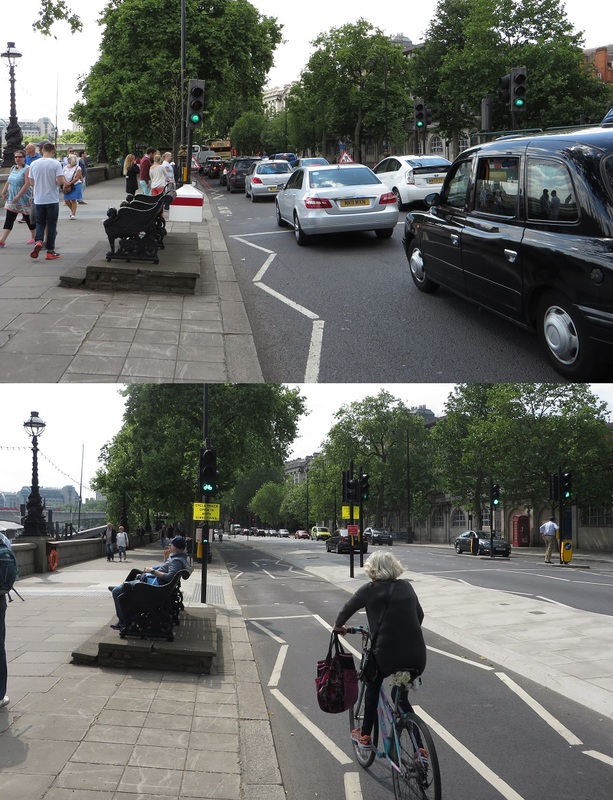 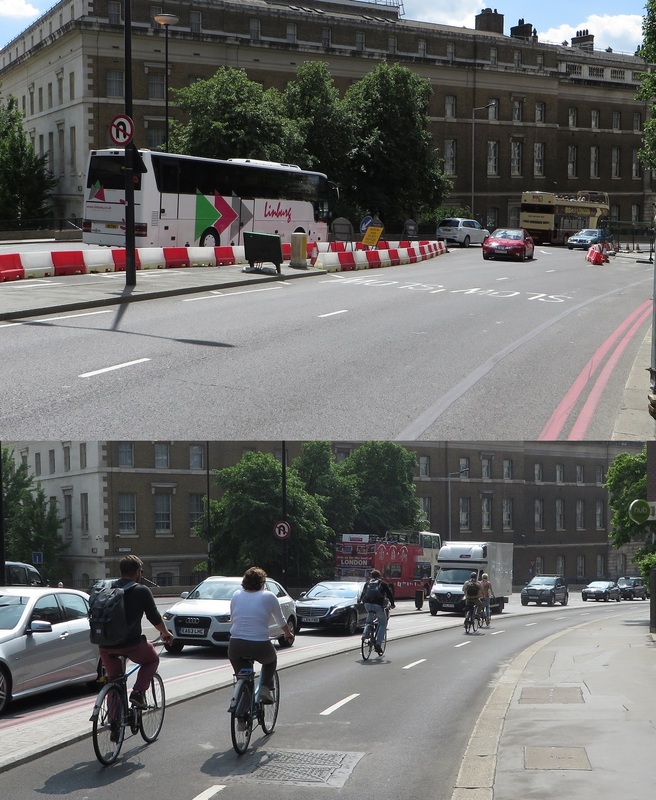 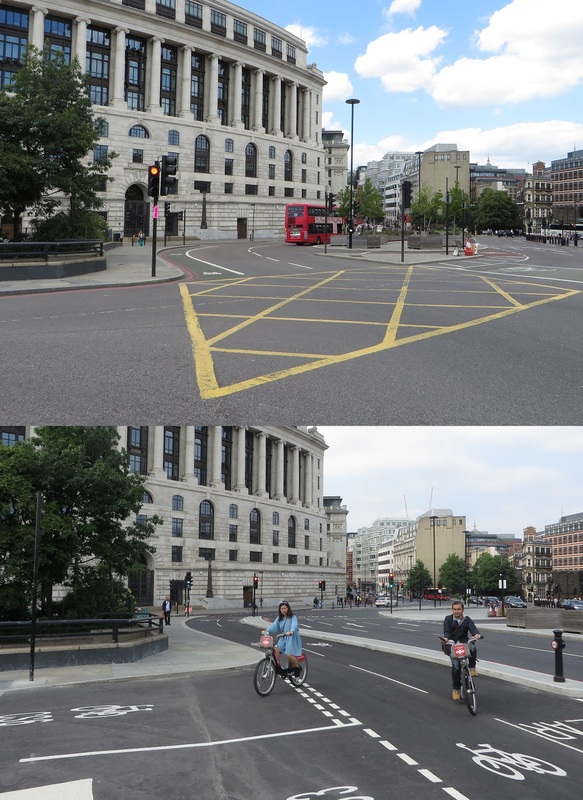 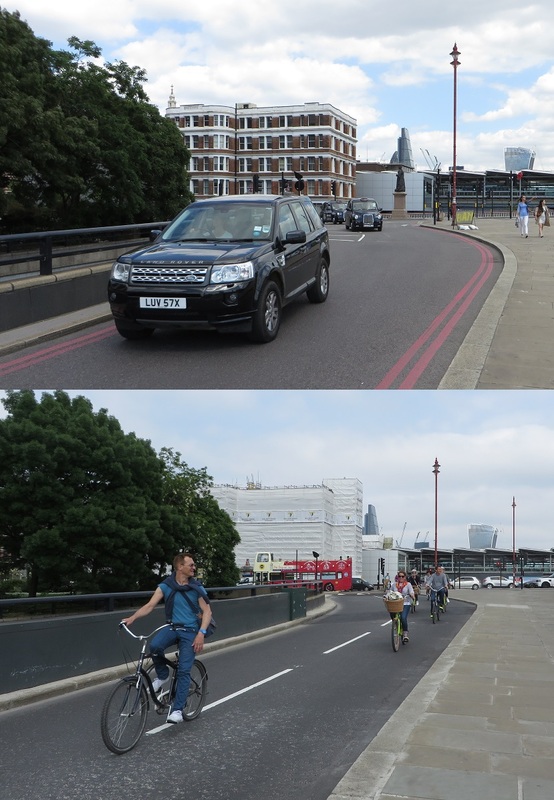 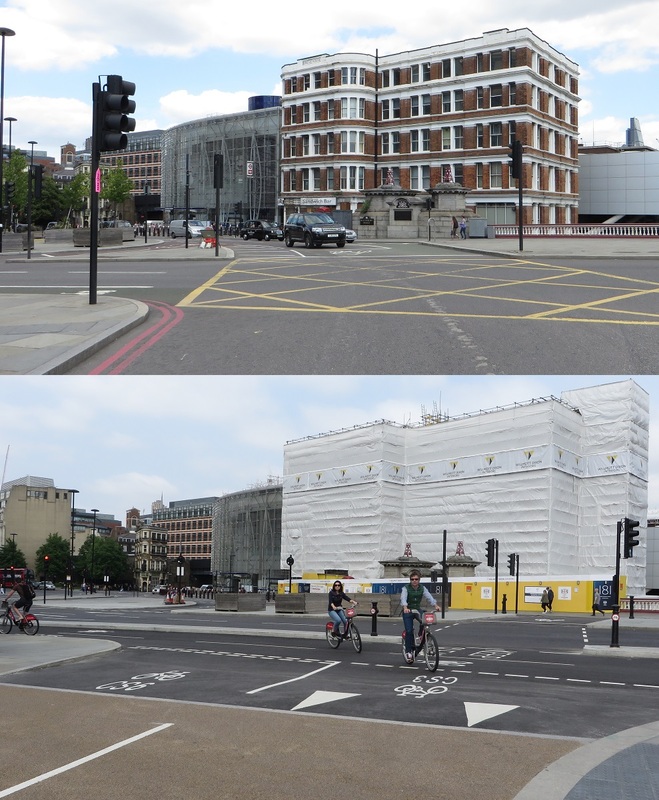 People do not have to "keep their wits about them"
Five years on from the Blackfriars consultation and there is no need to manoeuvre past two lanes of fast moving traffic to turn right here; anyone, no matter what their age or ability, can now navigate this junction. 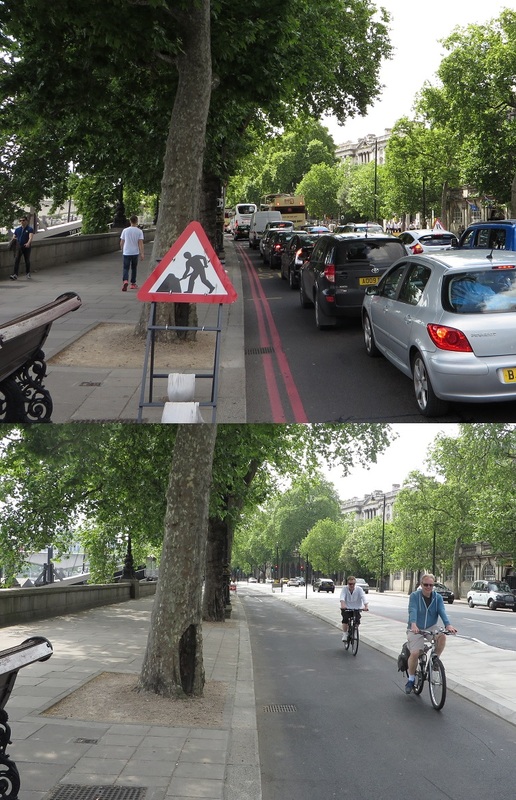 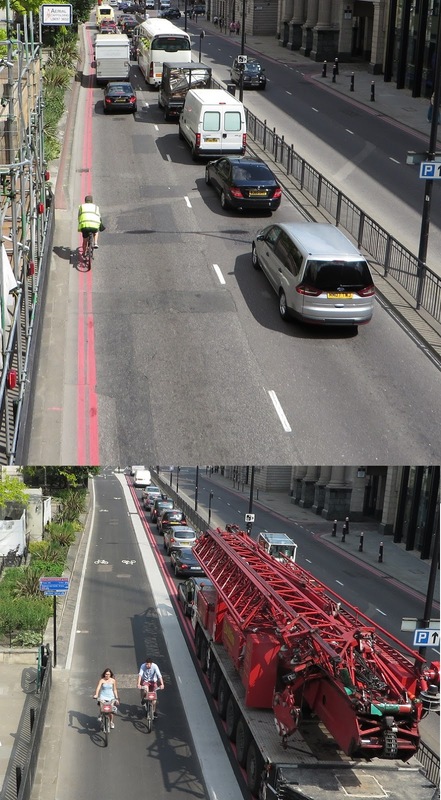 There has been a lot of nonsense written recently about reducing the capacity of road space in Central London for the superhighways. Victoria Embankment was opened in 1870, reclaiming acres of land from the River Thames. 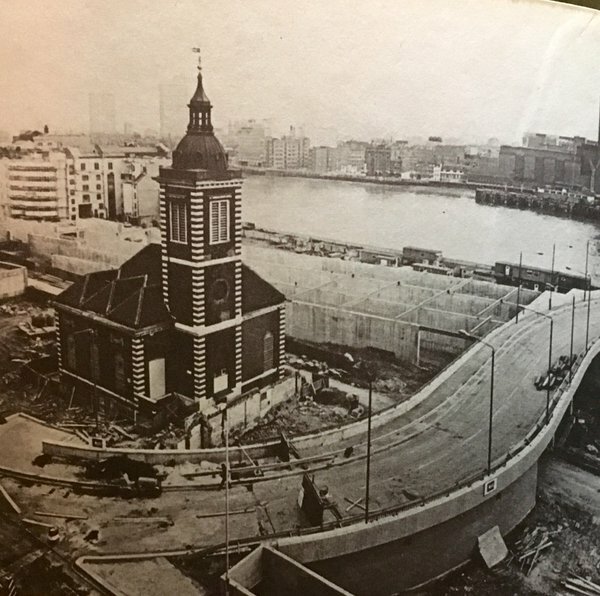 Designed by Joseph Bazalgette its main purpose was to accommodate a low level sewer with the added benefit of space for a new underground railway alongside and a new road on top, creating a new link from Parliament to the City and relieving the heavily congested Strand of some of its horse drawn traffic. 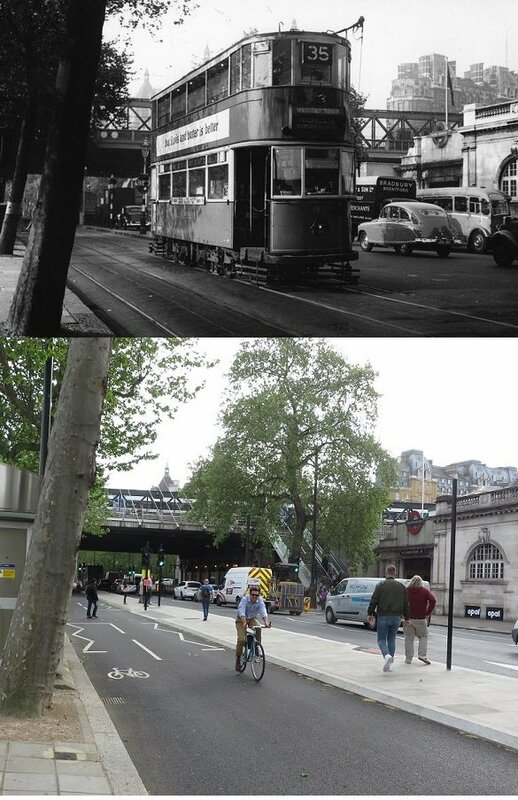 Tram lines were added some 30 years later and these ran until the 1950's before the space taken up by trams was given over to more space for motor vehicles right up until this year when roughly the same space the trams took up was converted into the Cycle Superhighway. 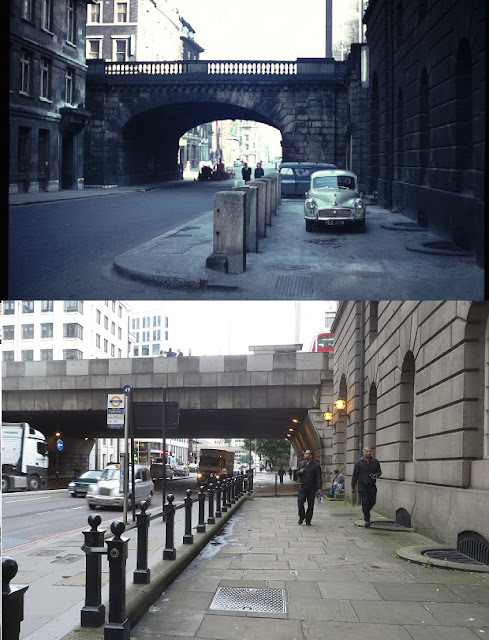 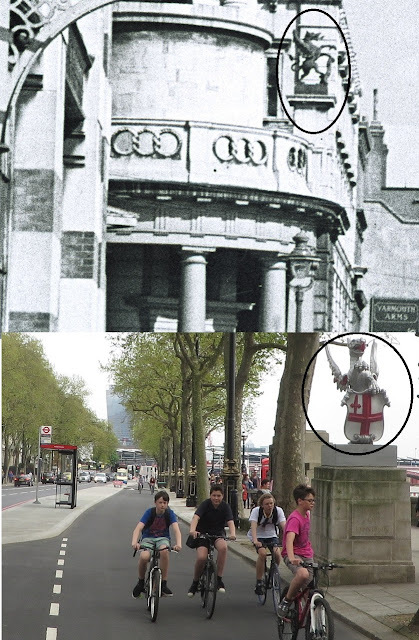 The remaining section of Upper and Lower Thames Street has been a street transporting Londoners for centuries and was first mentioned over a thousand years ago with all buildings on the street destroyed during the Great Fire of London in 1666. London Bridge, which spans the road here was also demolished (and sold to an American where it continues to be used to this day in Arizona) before a widened bridge was constructed between 1967 and 1972 (lets hope that the plans for cycle tracks on it also becomes a reality). 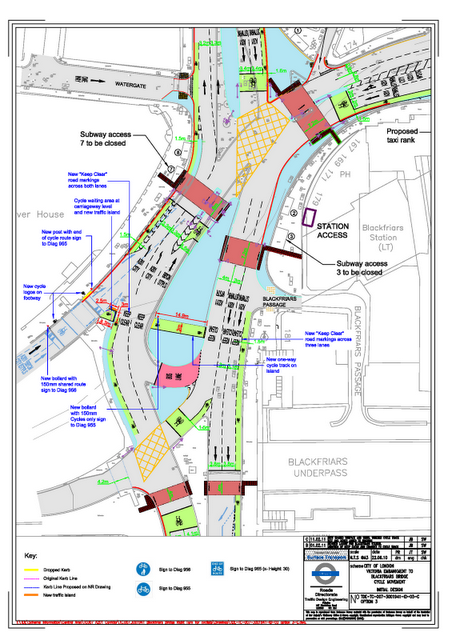 Below is a post war map of the area. 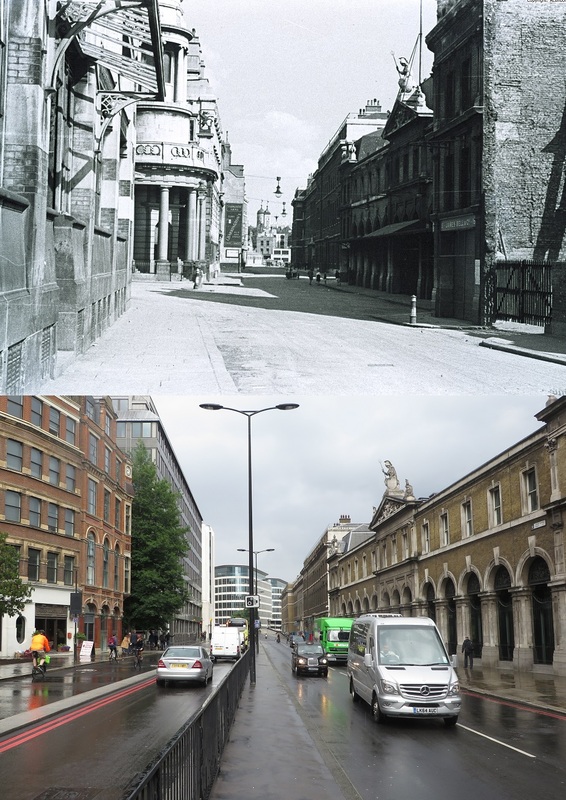 The coal exchange can be seen on the left side of this image. Despite some "ruins" on the map following the blitz many more buildings were destroyed to widen Thames Street, which now runs North East once it passes Harp Lane to join up with Byward Street to continue north of The Tower of London, creating an artificial hill as it climbs over the District Line tunnels (requiring a change of gear if you ride a heavy Dutch bike like myself). 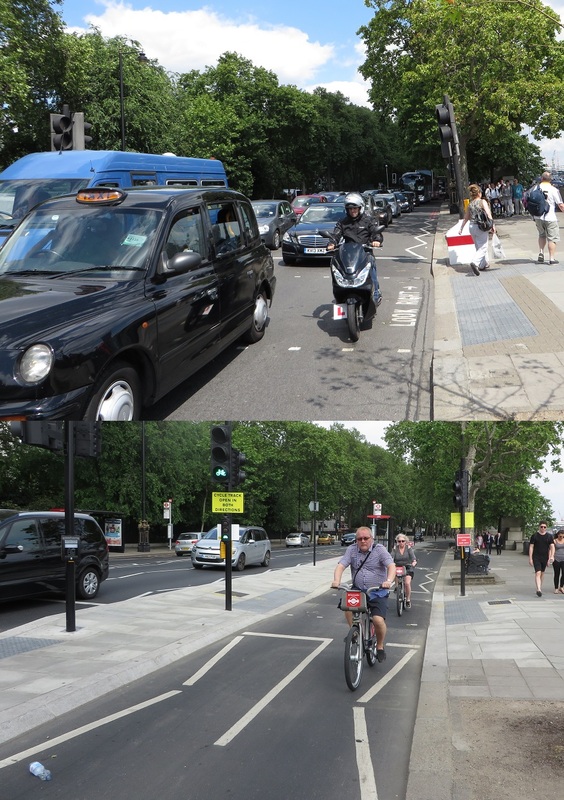 London was far from alone in doing this of course, it happened in cities all over the world. 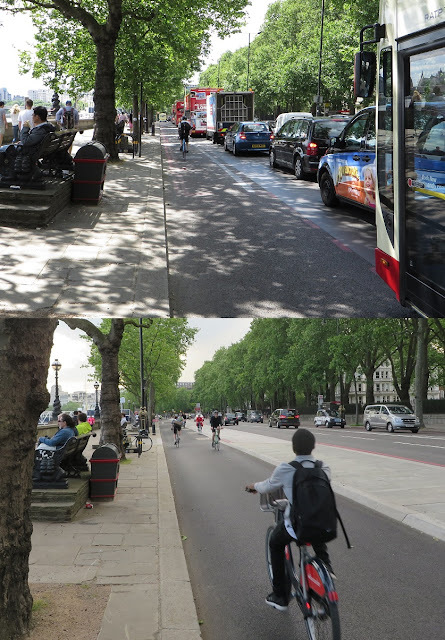 Slowly though, many are now undoing this damage and giving space back to people. 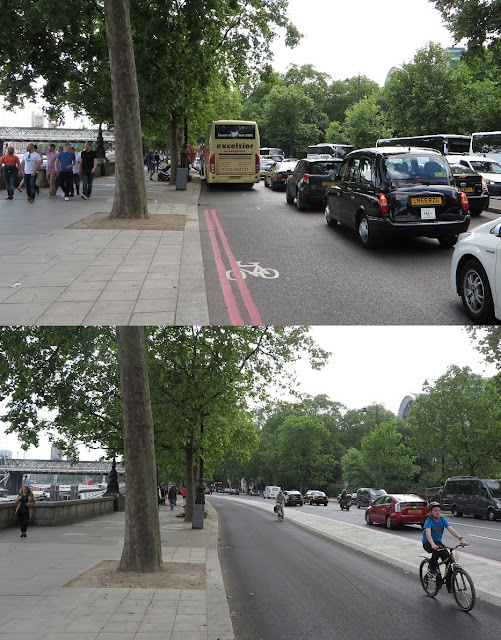 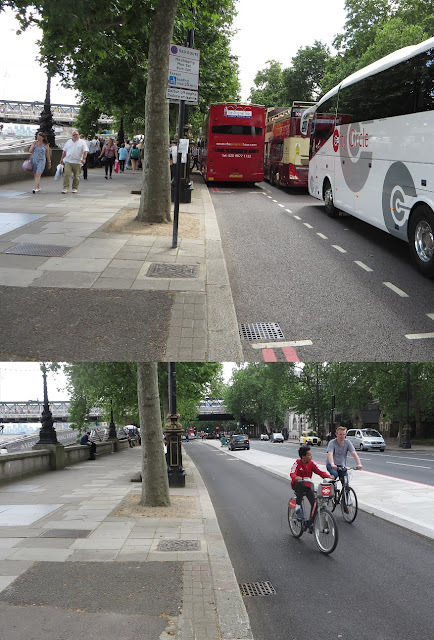 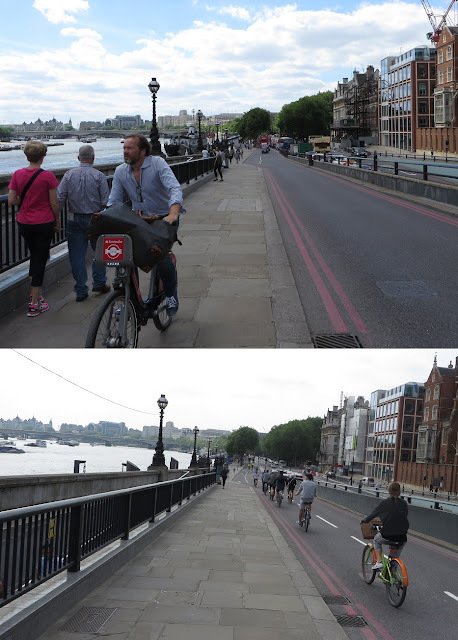 The creation of the superhighway along the Embankment and Thames Street is a huge step forward in making London a more liveable city. 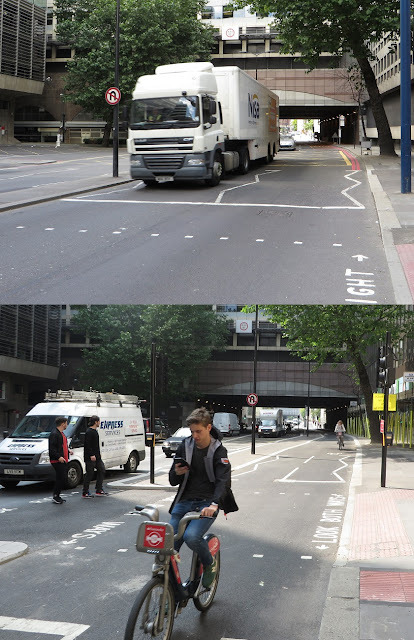 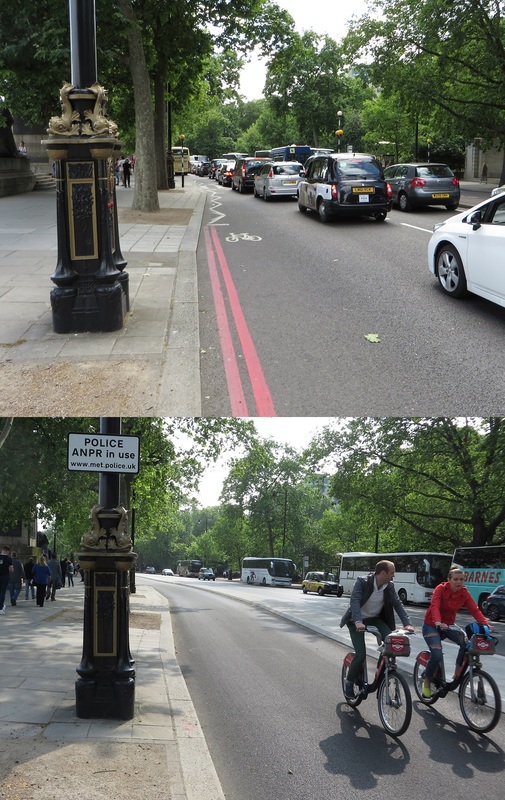 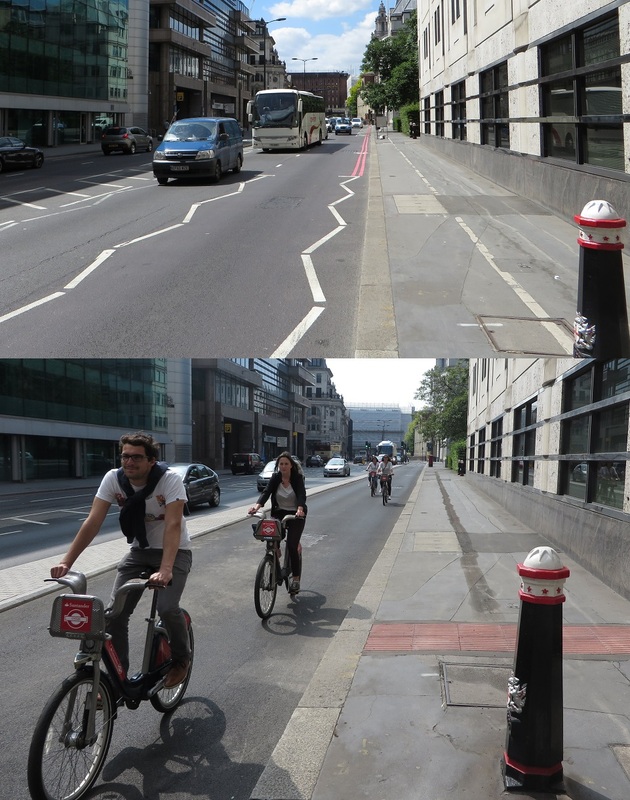 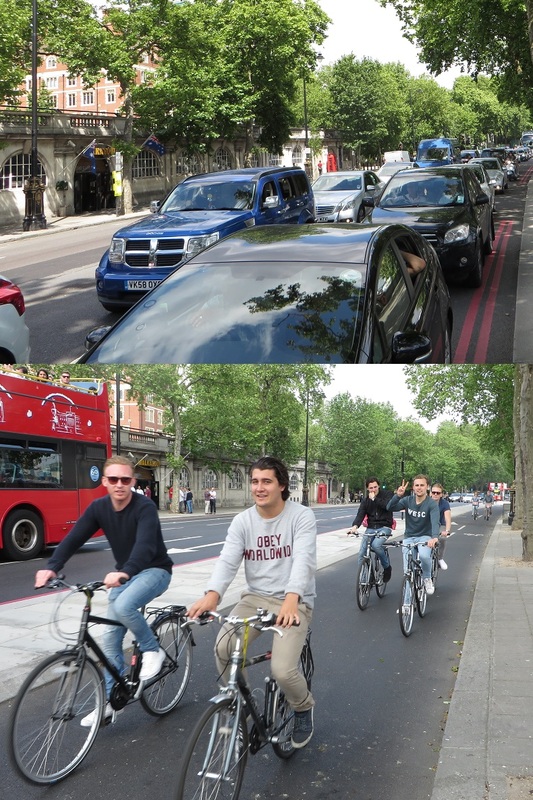 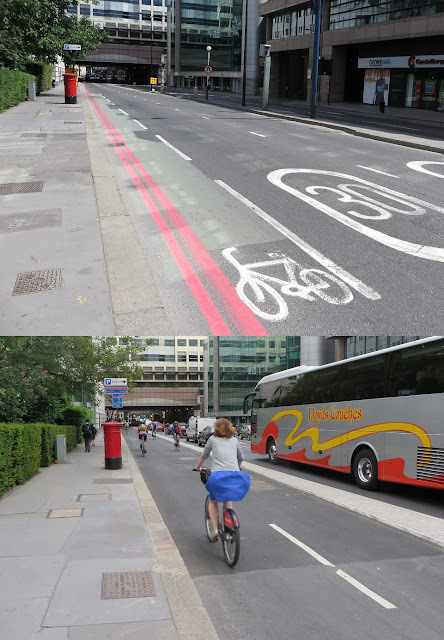 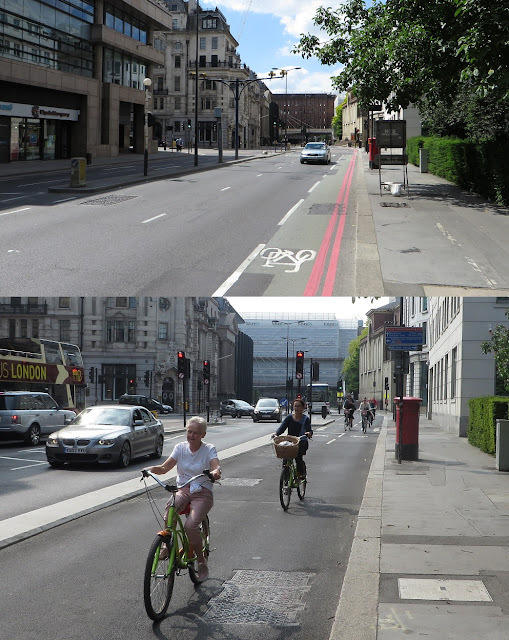 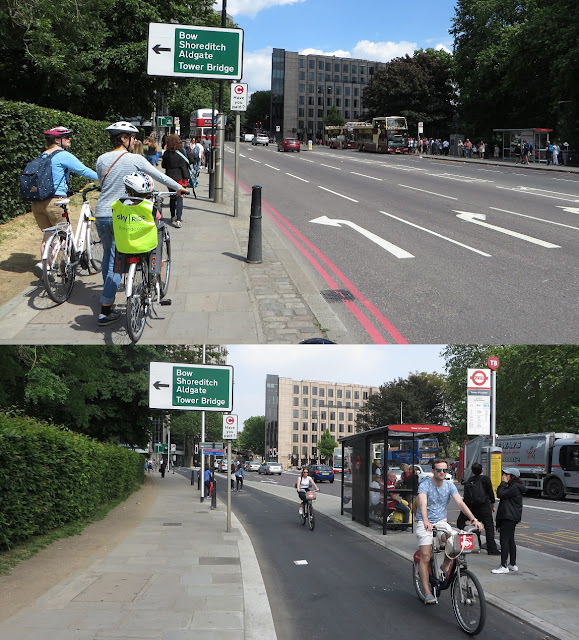 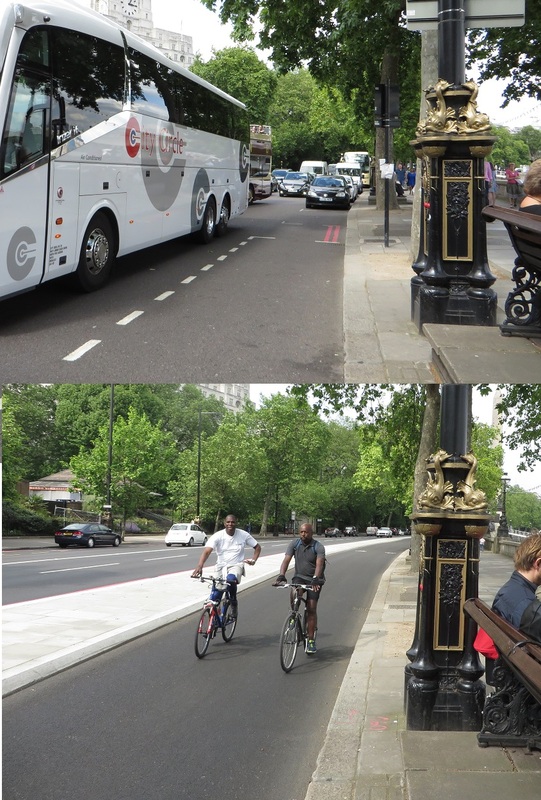 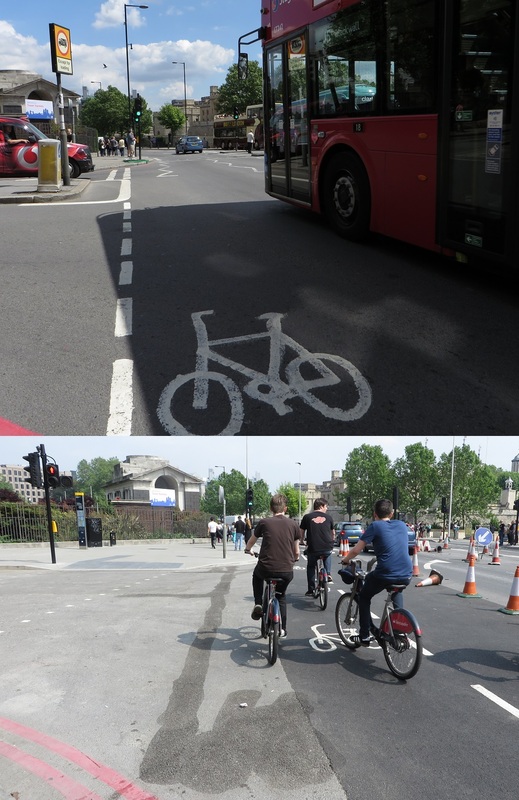 It has transformed some of the streets of London and allowed many children, tourists and just about anyone who wants to get about by bike in Central London to do so. The London Mayor Sadiq Khan promised to continue the cycle superhighway program with a focus on segregation, trebling the length of them and promising to make London a "byword for cycling". 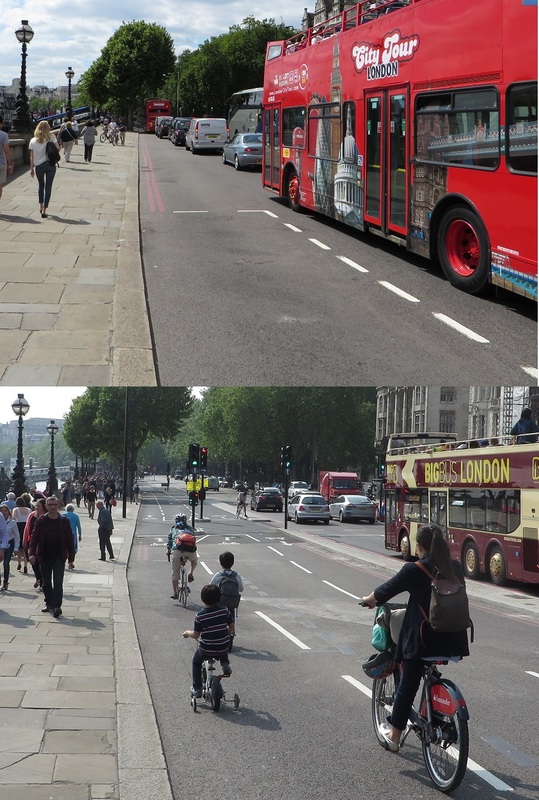 This is alongside other measures such as pedestrianising Oxford Street, at long last. 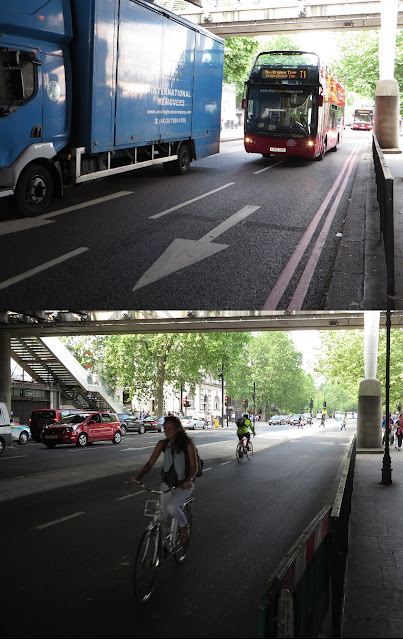 With three cyclists and two Oxford Street pedestrians killed since Sadiq became mayor lets hope he sticks to his promises and Londoners put pressure on him to do so.